Action verbs are in play all around us! Put kids names, as well as your own, in a bag. Then, have them pull two names out. 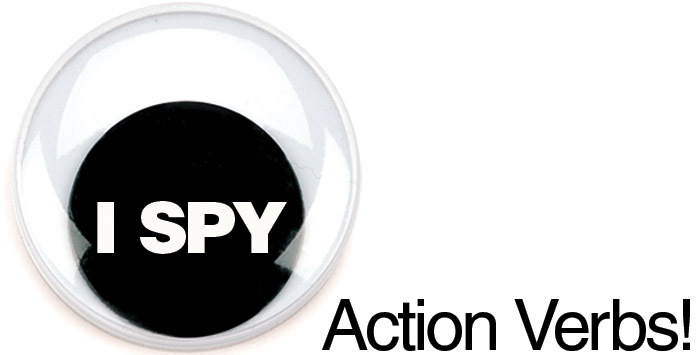 The names they pull will be part of their action verb spy project! 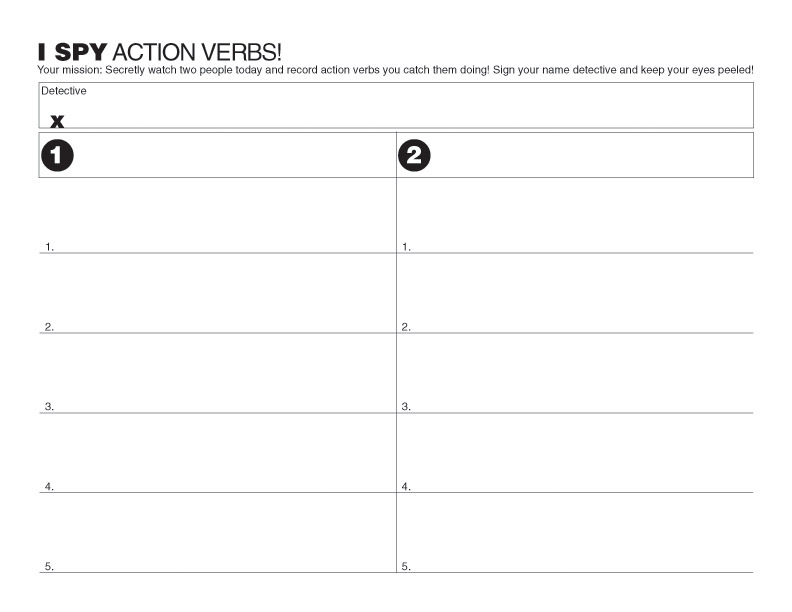 For one day, have kids write down five action verbs that they catch their two peers (or teacher) doing.